People not familiar with their French cinema can often be quite derogatory about it, snootily suggesting that the sum of the Gallic movie business over the past decades amounts to Brigitte Bardot lying on a bed asking a brooding, cigarette smoking man whether he likes her feet. Although such French films do exist (as anyone who has seen Le Mepris will attest) it goes without saying that there is much, much more to French cinema than this. Fortunately, for those film fans who are ready and willing to shrug off their prejudices and give non-UK and non-USA pictures a chance, the British Film Institute (bfi) are on hand to right these cinematic wrongs, as they are running a summer programme dedicated to French films. For instance, moviegoers will be able to enjoy the delights of the the bfi’s Jacques Tati retrospective at the National Film Theatre in August. The lead title in a quartet of comic gems from Tati, Monsieur Hulot’s Holiday, will be on general release in London and the UK with new prints of Jour de Fete, Mon Oncle and Playtime also being made available. 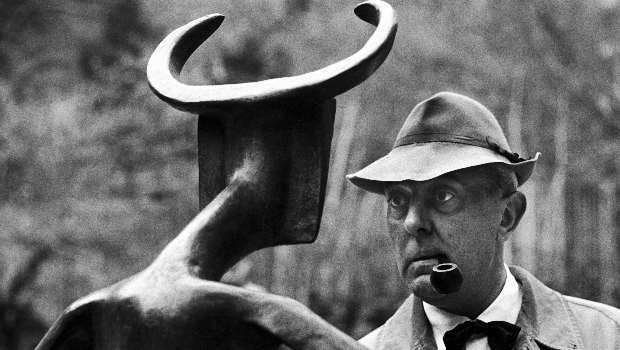 Jacques Tati is a name which people unfamiliar with French cinema might hold their nose up to. If you are aware of the fact that he has something to do with comedy, you might also think that his is a dry comedy that can only be enjoyed by bearded men in corduroy trousers. Yet this could not be further from the truth. Through Monsieur Hulot, Tati created a universally loveable character and a comedy genius, an innocent who is always eager to help but who instead often finds himself accident personified. Monsieur Hulot’s Holiday sees the main man journeying to the seaside, staying in a hotel with a crowd of affectionately drawn middle-class holidaymakers. And that’s pretty much it. But a lack of any fixed narrative does not stop the film from being a top-class example of observational comedy. There is no real dialogue to speak of, but again this is of no concern when you are able to enjoy Tati’s mastery of marrying sound with image, whether this is inanimate everyday sounds made animate, or a great sound track that stays in the head long after the movie has finished. Hulot himself is a fantastic character, all loping gate and long pipe, who although managing only one word in the entire film (his name) is able to convey a wider range of emotions through his physical and facial movements than a ten-member team of Hollywood scriptwriters. Monsieur Hulot’s Holiday is literally a joy to watch, and guarantees both belly laughs as well as moments of tender melancholy (you are defied not to have a little lump in your throat as Monsieur Hulot dances gently with the prettiest girl at the seaside). If (like this reviewer two months ago) you have a totally irrational distrust of French movies based on no other evidence other than a dislike of the people who you think would probably watch them, then throw caution to the wind and your ignorance in the bin and get involved in the bfi French season of films this summer. Not only will it enrich your overall knowledge of film, but it will also guarantee you at least one enjoyable visit to the cinema (sadly not many of those around at the moment). If you are a real Francophobe and are only prepared to see one film, go and watch Monsieur Hulot’s Holiday. If this won’t change your mind then quite frankly you are a real cause perdue and all the films you will ever see will doubtlessly be directed by Rob Cohen.